If you are looking for safe way to treat Allergic Rhinitis - Hay Fever, common cold other sinus allergies with no pain, no drugs and no side effects, Sinu-Solve™ is what you need. Low level narrow band light technology through the Sinu-Solve™ IR Rhinitis Therapy Device effectively relieves ALL of these symtoms. They're all the result of contaminants in the back of the nasal passage, causing circulatory problems and these often distressing and uncomfortable symptoms. 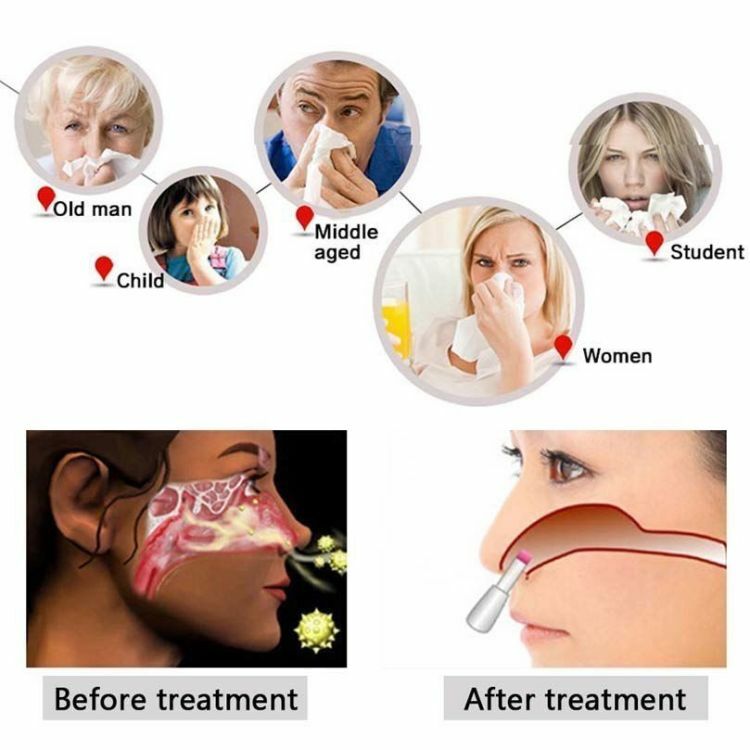 Conventional treatments such as antihistamines and nose sprays provide onlytemporary relief and a variety of side effects. Sinu-Solve™ is a revolutionary medical device for personal use for the treatment of Allergic Rhinitis - Hay Fever symptoms using 630 nm red light. Sinu-Solve™ is completely safe, has no side effects, and is 100% free of any medication. I appreciate all the support from online offer store very good company the product is amazing. It works well, it is practical and comfortable and I feel better every day that I use it.